We store historical data from terrestrial AIS stations dating back to 2009. 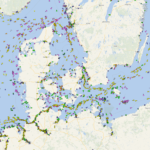 The AIS data has a great value for vessel traffic analyses, port calling information and all services related to vessel movements and their behaviour. Operating hundreds of terrestrial AIS stations worldwide VT Explorer has become one of the leading providers of historical AIS data as of 2009. 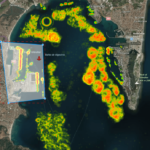 Historical AIS data is used for analyzing vessel movements on a global scale, investigating ship accidents or illegal ship-related activities, exploration of port calls or efficiency of port activities and much more. With the Voyage Analyser service, you can explore the movements of every vessel you have purchased data for in more details. Еasily analyse the vessel’s course, speed, and draught at each reported position. Find out the average and maximum speed the vessel sailed at through the studied time range along with detailed information about its draught changes over the time. Data is delivered in raw NMEA format or in CSV/XLS format. Additional vessel parameters may be provided such as flag, gross tonnage, deadweight, manager, owner, etc. The data frequency depends on the requested time interval and customer’s requirements. Data is delivered in CSV or XLS format. Additional vessel parameters may be provided, such as flag, gross tonnage, deadweight, manager, owner, etc. Additional vessel parameters may be provided by request. Historical AIS data make the analysis of traffic density and vessel behavior in critical areas possible. Density analysis is performed for specific area and additional criteria such as ship type, size, year could be applied. The price for historical AIS data depends on the requested amount thereof, its frequency and all additional information related thereto. Send us more information about your needs and we will respond with relevant pricing and data availability in short time.